It goes without saying that you can function so much more effectively in an English speaking society if you use various idiomatic expressions in your daily conversations! Basically you can use this phrase whenever you want to EMPHASIZE the fact that you’re going to mention something you consider a known fact, something that cannot be disputed. If you’ve been following my online activities for a while, you’ll know that I feel strongly about English idiomatic expressions, collocations, other informal means of expression and their importance when it comes to developing a foreigner’s ability to speak fluently. That’s why ‘it goes without saying’ is the ideal phrase to use whenever I’m touching upon the subject of English fluency development. Application of this phrase isn’t limited to a person’s personal beliefs and convictions however; you can also use it pretty much in all situations when you mention something that is a proven fact. Everyone knows it’s a fact, so it’s not something that you just believe in, it’s something that doesn’t even require any further proof, so you may also use this phrase in similar situations. But now it’s your turn to come up with some sample sentences and do some spoken English practice. Speaking With Yourself Isn’t As Different From Speaking With Others As You Might Have Thought! It goes without saying that, your blog is helping non-native English speakers. It goes without saying that practising quite a lot speaking every day is a good way to improve your fluency in your speech! 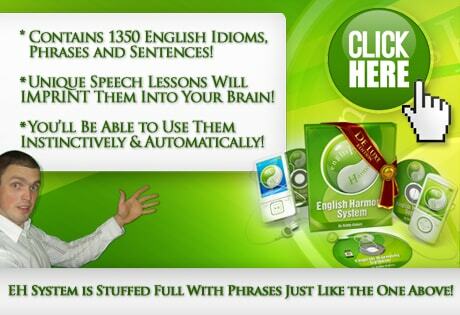 It goes without saying that visiting this blog on a daily basis will go a long way to helping you speak fluent English.